How Do I Get Help With Funeral Expenses Without Burial Insurance? Does A Burial Insurance Policy Take Funeral Expense Out Before Paying The Beneficiary? How Do I Receive Help With Funeral Expenses For Someone With No Burial Insurance? Is Burial Insurance The Same As Life Insurance? What Are The Key Factors On A Burial Insurance Checklist? What Factors Should I Consider When Buying Burial Insurance? What is the Difference Between Burial and Life insurance? What Is The Difference Between Funeral Insurance And Burial Insurance? Where Do You Get Help When You Have No Burial Insurance? Will A Burial Insurance Policy Cover A Green Burial? Can I Buy Burial Insurance If I Have A Pre-Existing Condition? How Much Burial Insurance Coverage Should I Buy? Is There An Age Limit On Buying Burial Insurance? Does Anyone Know a Company Dealing in Burial Insurance? How Do I Buy or Get Burial Insurance For Terminally Ill People? Is There an Age Cap on Burial Insurance? What To Do If Someone Dies Without Life Insurance and Has No Close Family? What Are The Types of Burial Insurance? What Is Family Life Insurance? What Does It Mean To Have No Medical Life Insurance? What Is Second to Die Life Insurance? What Is Senior Life Burial Insurance? It’s bad enough losing someone you love, but if you lose a loved one and then have the added worry of paying for the funeral expenses it makes it even more difficult at such an emotional time. If the deceased doesn’t have any burial insurance or other money to pay for the funeral costs, there are other places where you can go for help. Family – could it be possible that the extended family will club together and pay for the funeral expenses? I know it’s not ideal but you might be surprised at the number of people who would be glad to help at such a difficult time. The best way to receive help is to buy a funeral insurance plan before you need it. Friends – even if their friends can’t actually chip in some money themselves, they may be willing to organize a fund raise for the funeral expenses. Church – You think about asking at your local Church. You can guarantee that you won’t be the first person who has this problem, and you definitely won’t be the last, so they might be able to help you, or at least point you in the direction of someone who can. Social Security – under some circumstances, Social Security will pay towards the cost of the funeral expenses. This is often the case if the deceased was already in receipt of benefits of some sort, or has suffered from a long illness which has made them unable to even look after themselves, never mind pay provide for their own funerals. Most people who are searching online for burial insurance don’t realize that funeral insurance is essentially life insurance. 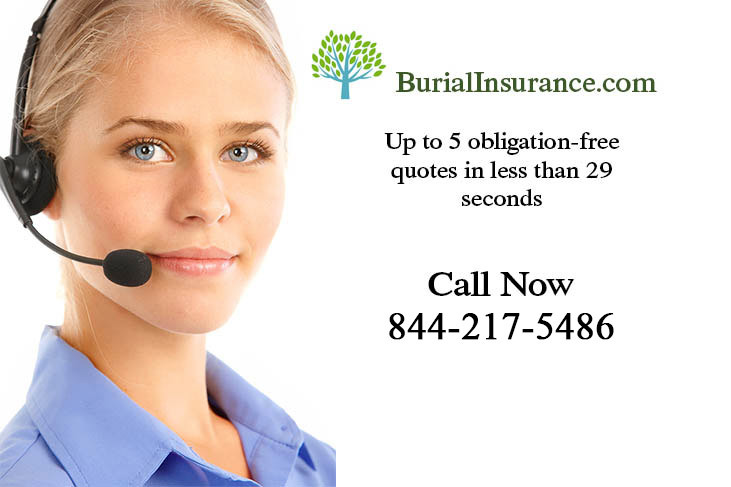 A very inexpensive way to obtain quality burial insurance is to get a free life insurance quote. Are your loved ones worth a minute of your time? 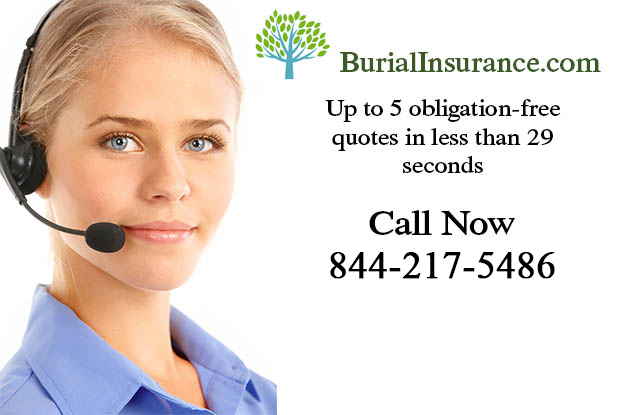 Above, you will find our burial insurance rate quote, which takes less than a minute to complete. This insurance quote compares up to 8 different insurance carriers for you.